After months, if not years, of tireless work, my friends and allies at Bike Durham have implemented the first protected bike lane in Durham. This is an important step in the fight for bike safety, environmental sustainability, equity, and so many other values this community claims to hold dear. Back in 2016, I posted on Instagram about how satisfied I was for biking to the polling place to vote. Later that year, I upgraded from a modified mountain bike to a true roadster. Although it’s growing, Durham still isn’t that big and I had the opportunity to put my money where my mouth is. The bike lanes were still laughable but I could get to and from work with relative ease. DISCLAIMER: If not for the incredible generosity of my girlfriend Eliza, my mom, and my roommate Tommy, among many other people who are kind enough to always be the driver or lend me their car when I was in need, I wouldn’t be able to stay disciplined and commit to #BikeLife. It’s a group effort! And hey, maybe I’ll convert a few people along the way. This is just a small step toward transforming Durham into a city of the future. Yes, we’re all disappointed we didn’t get light rail, but that shouldn’t discourage us from challenging ourselves and improve the way we think about transportation within the city limits. The options already available to us (biking & busing) are not used nearly enough, especially for folks that live within 3 miles of the downtown loop. I didn’t get my license until I was 19. 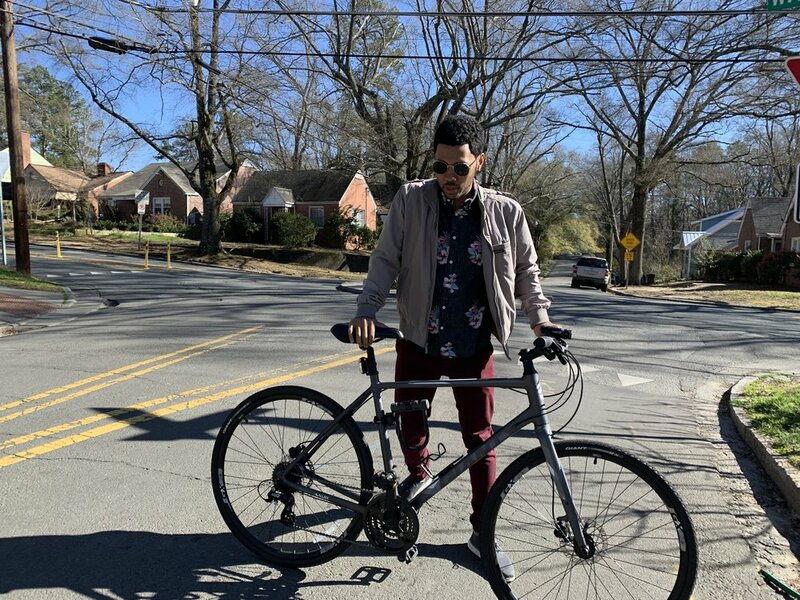 Aside from carpool, biking and busing were my primary mode of transportation when I started school at Durham Tech in 2010. It was challenging and, if I had the choice, I probably would’ve chosen to drive, but it gave me perspective. We are fortunate to have the conveniences we enjoy everyday. I spent time with people I wouldn’t otherwise interact with, hearing their stories and understanding how a different side of Durham lives. Someone I respect once said, “If at the end of all of this, if we have only helped people that looked like us, then we haven’t done a damn thing.” This is our challenge. How can we improve transportation not just for ourselves, but for everyone? The protected bike lanes are a great addition to our rapidly evolving infrastructure but who do they serve? When I’m biking around town, it’s mostly “people that look like me” on the road, not my friends from the city bus. Would the light rail have succumb to a similar fate?